Courier of the Crypts from Emberheart Games, is a top-down action adventure game featuring a courier with a magical torch on a mission to deliver a letter. 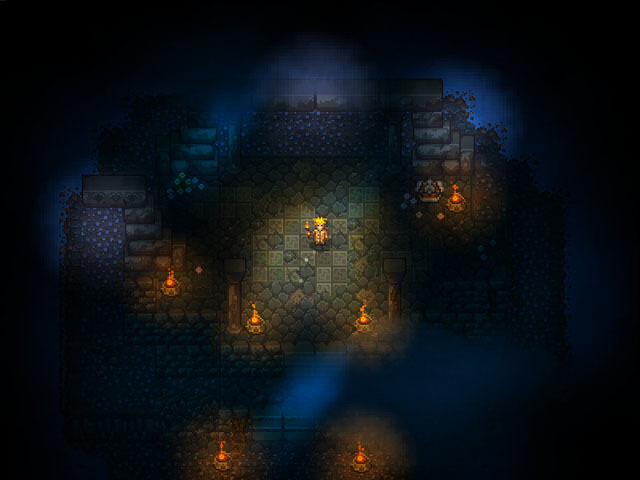 The courier uses the torch to light his way and solve environmental puzzles, as well as ward of enemies, lure them to their deaths, or combat them directly. The world is filled with puzzles to solve and treasures to be found, along with numerous enemies that react to the light of your torch differently. But the torch needs to be fed, lest it burn out and leave you defenseless. Courier of the Crypts is now available for PC and Mac via Steam Early Access.